You can save your diagram as image. 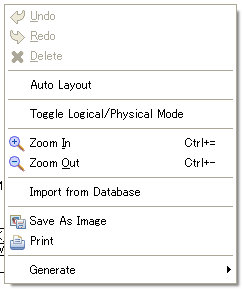 And also you can print it by the diagram context menu. 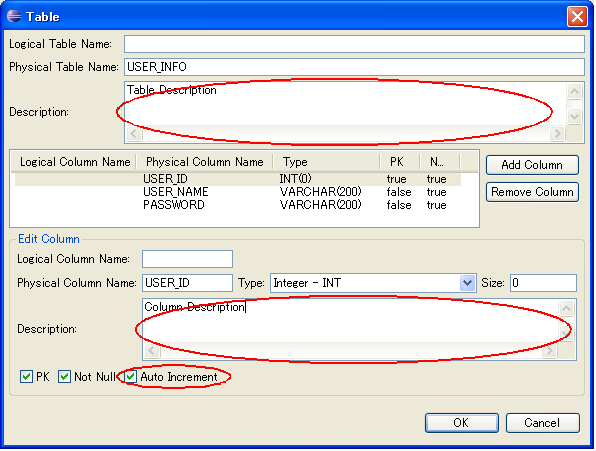 AmaterasERD could import database schema at the initial ER diagram creation. In addition, The current version can always import them into existing diagram. AmaterasERD can export table definition as HTML. Choose "Generate" -> "HTML" from the ER diagram context menu. You can layout entities automatically from the ER diagram context menu. Developes can add generators using this extension point. In default, AmaterasERD provides DDL generator and HTML generator. Specified class must implement net.java.amateras.db.visual.generate.IGenerator interface.